Can Dogs Eat Oranges Or Are They Harmful For Canines? Oranges are a delicious citrus fruit, packed with health benefits. As well as being rich in vitamin C, they help lower cholesterol, prevent cancer and kidney disease, and improve heart health. But can dogs eat oranges too and are they good for them? The quick answer is that yes, dogs can eat oranges, in moderation. That said, there are a few things to take into consideration when you give your dog oranges (and tangerines and clementines). The first thing to note is that dogs don’t usually need any vitamin C supplements, as dogs actually make their own vitamin C. There are exceptions, particularly when a dog is stressed or suffering from some health conditions. For example, I’ve previously written about giving Ester C to dogs with hip dysplasia. Secondly, oranges contain a lot of sugar – about 9 grams per 100 grams of orange. So you definitely don’t want to give your dog too much. Otherwise, you run the risk of your dog getting fat. One or two segments each day should be fine, but don’t give them any more than that. Also, oranges are a citrus fruit, of course, and so contain citric acid. Whilst not toxic for dogs, too much citric acid can cause an upset stomach. Your dog could also suffer from diarrhea. The pith of the orange doesn’t contain as much acid, and also provides antioxidants and fiber. So there’s no problem feeding your dog the pith. Summary – are oranges good for dogs? In short, yes, you can feed your dog oranges. The citric acid in them won’t cause any problems. But you should restrict your dog to just a couple of segments per day due to the high sugar content and the citric acid they contain. Indeed, it’s best to keep oranges as a special treat rather than giving them to your dog on a regular basis. In fact, the healthiest regular option for your dog is simply the best dry dog food you can afford. 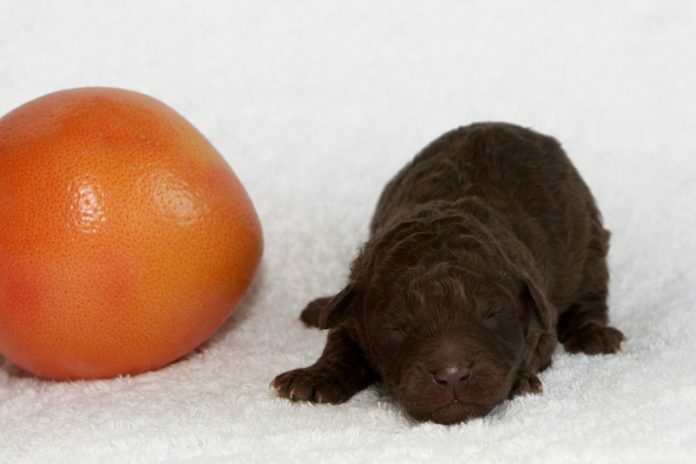 Orange pith can be beneficial for dogs.